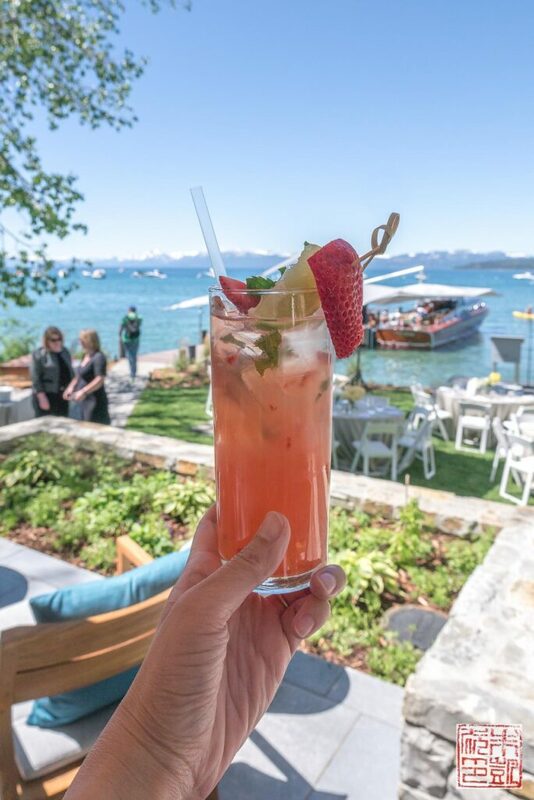 There’s summer in Lake Tahoe, and there’s summer at the Ritz Carlton Lake Tahoe. 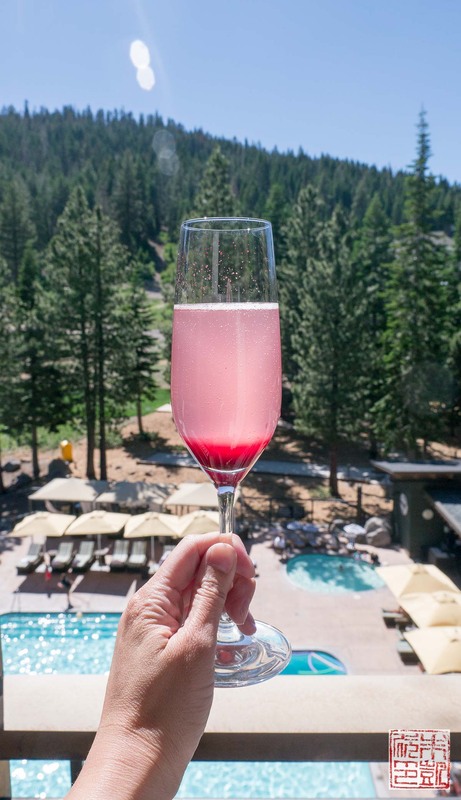 A few weeks I got to experience a very special slice of heaven at the opening of the Lake Club, the new addition to the hotel on the north shore of Lake Tahoe. Read on for three days of sunshine, good food, and endless views. 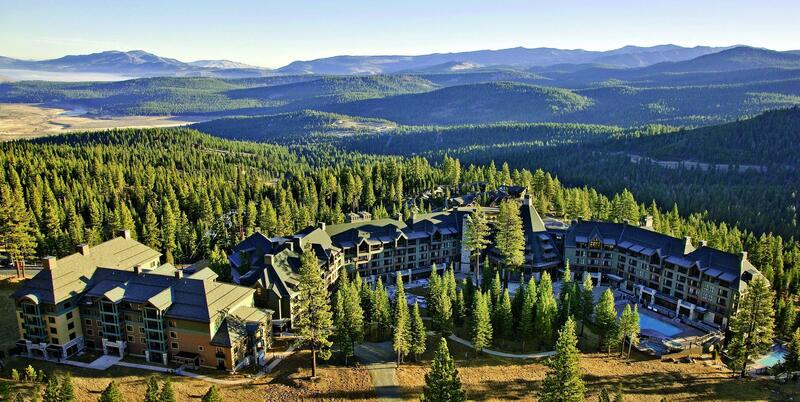 The Ritz-Carlton hotel is nestled in the mountains north of Lake Tahoe, near the Northstar ski resort. It’s a spellbinding drive through an alpine forest straight out of fairy tales until you arrive at the top of a dizzingly winding road. The imposing building is a contemporary take on the classic mountain lodge, with its pitched roofs, timber framing, and granite detailing. 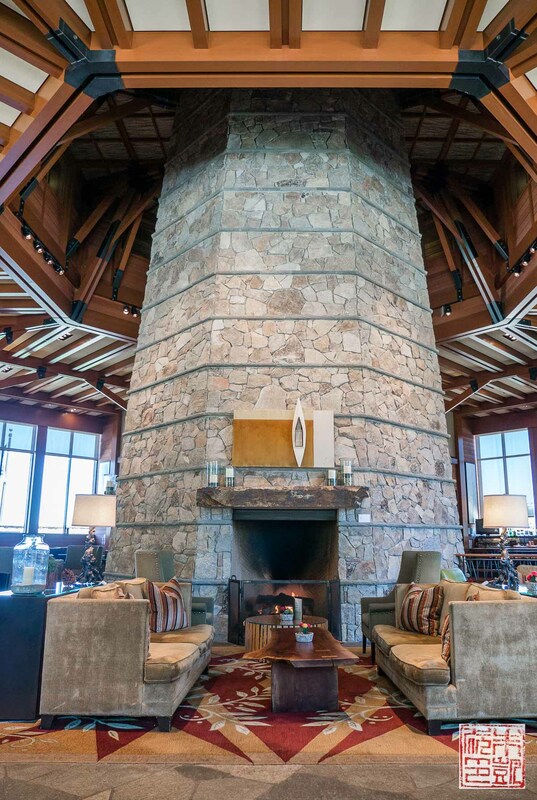 The lobby/main lounge area is the called the Living Room, and is dominated by a huge central stone fireplace column. 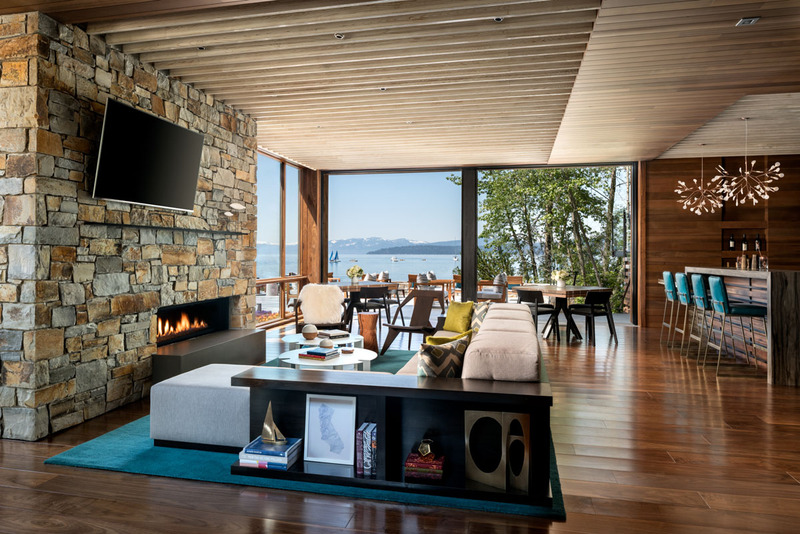 It’s essentially a more luxurious, ideal-world version of your living room, complete with views to die for outside the floor-to-ceiling windows. Looking outside from the Living Room to the slopes behind the hotel. Those windows are really spectacular. Pretty much anywhere you are in the hotel, you’ll want to just sit for a while and enjoy the view. 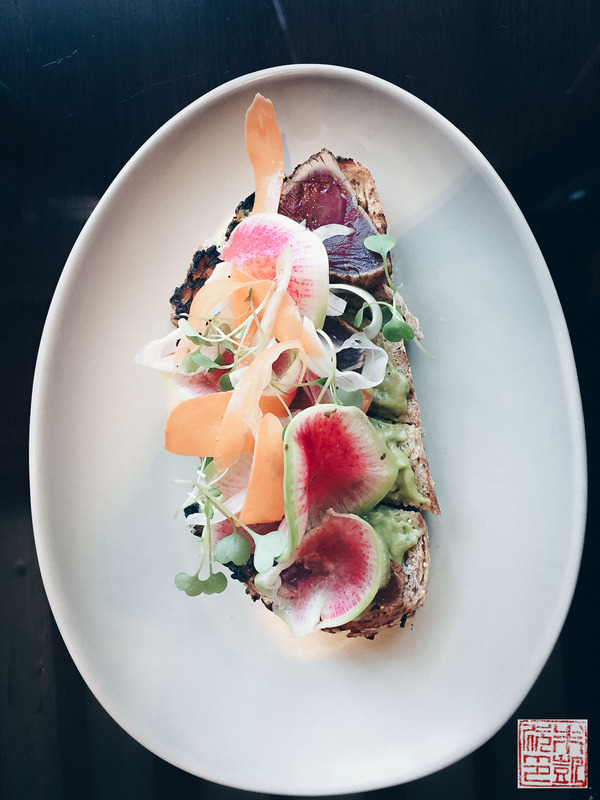 My first lunch at The Ritz: their Ahi tuna tartine with avocado, shaved vegetable salad and white balsamic vinaigrette has pretty much spoiled me for any other form of avocado toast. It’s sized for sharing but guilty confession: I ate a whole one all on my own. Call it a reward for the 3 1/2 hour drive up from the Bay Area. 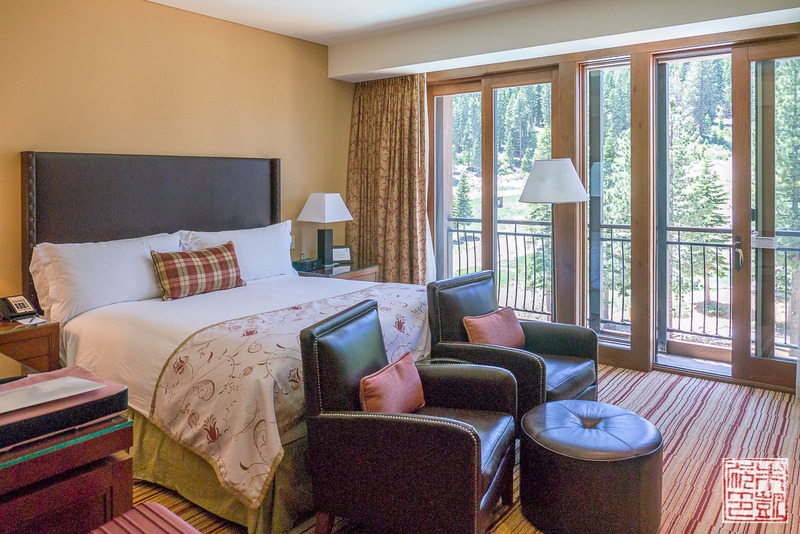 The rooms all have floor-to-ceiling windows as well, looking out on the same picture perfect slopes. Every room also has a fireplace, for those chilly winter nights. Although, on a tip from one of the staff, I turned the fireplace on and left the windows open, so I could fall asleep to fresh mountain air blowing in, and wake up to birdsong. Hard to leave this place when this is your view outside your windows. 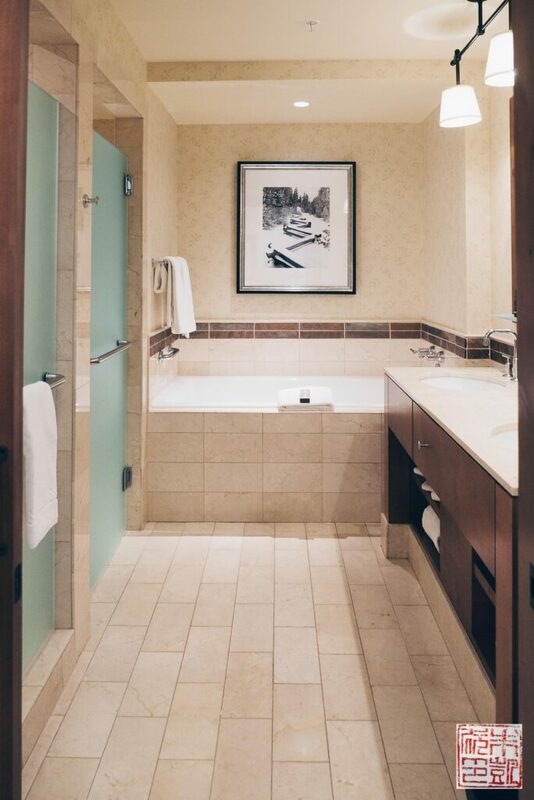 I have a weakness for swanky hotel bathrooms, and this one has a fantastic deep soaking tub. 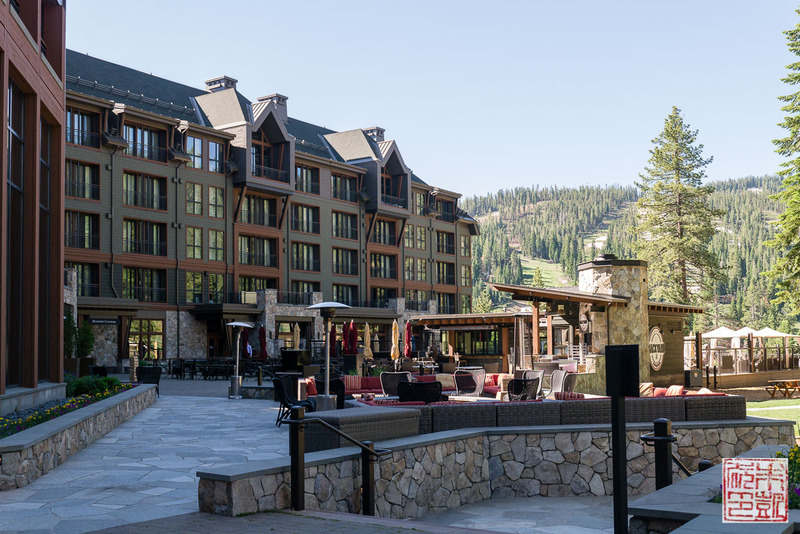 Although the Ritz-Carlton Lake Tahoe may be most popular as a winter ski destination, it’s pretty stunning for summer vacation as well. 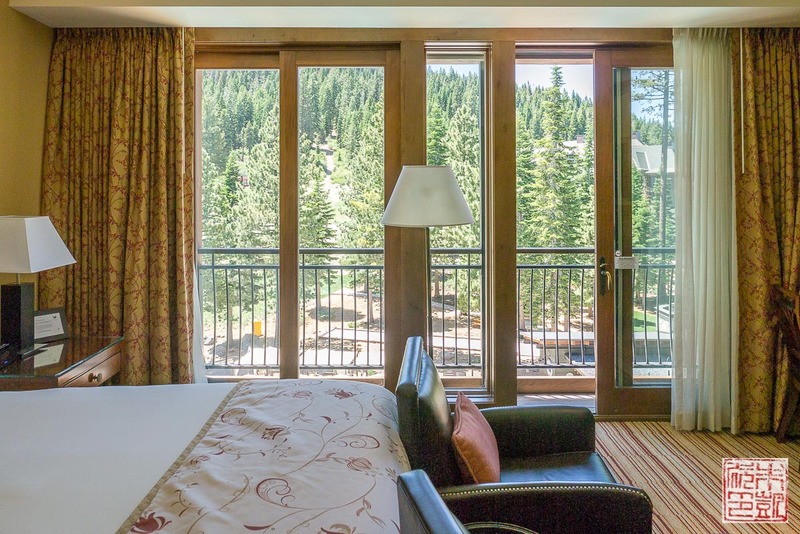 There’s easy access to hiking and biking trails, you can ride a gondola down to Northstar Village for shopping and dining, and Lake Tahoe itself is a 15 minute shuttle ride away. 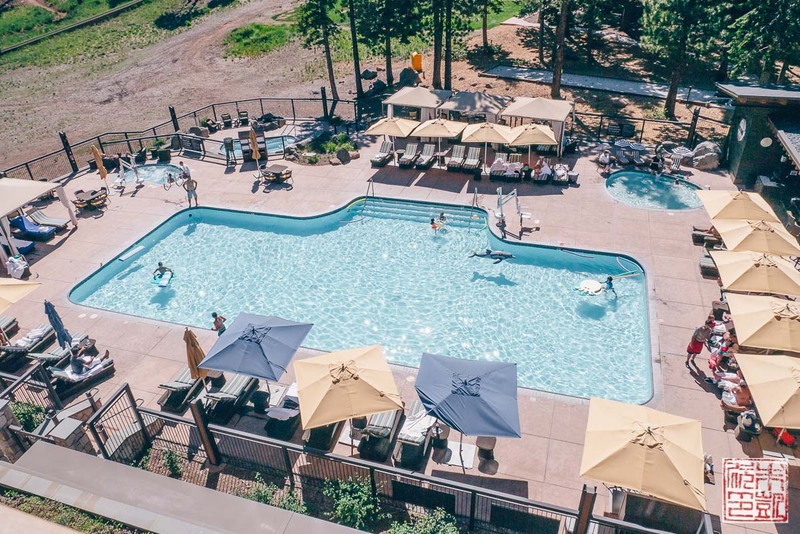 The hotel grounds in the back offer plenty to do as well – you can see above the Backyard BBQ restaurant for alfresco dining, and the pools beyond. The vast expanse of lawn between the hotel and the forest is used by kids and adults alike as basically the biggest backyard ever. Summer pool action. There were plenty of vacationing families in the main pool, the little kiddie pool to the top right, and the two hot tubs to the top left. There’s also an adults-only lap pool around the corner if you want some quiet sunbathing time. My favorite Ritz touches? The sunscreen bar so you don’t have to worry about not having yours, and the staff bringing around chilled fruit skewers to sunbathers. 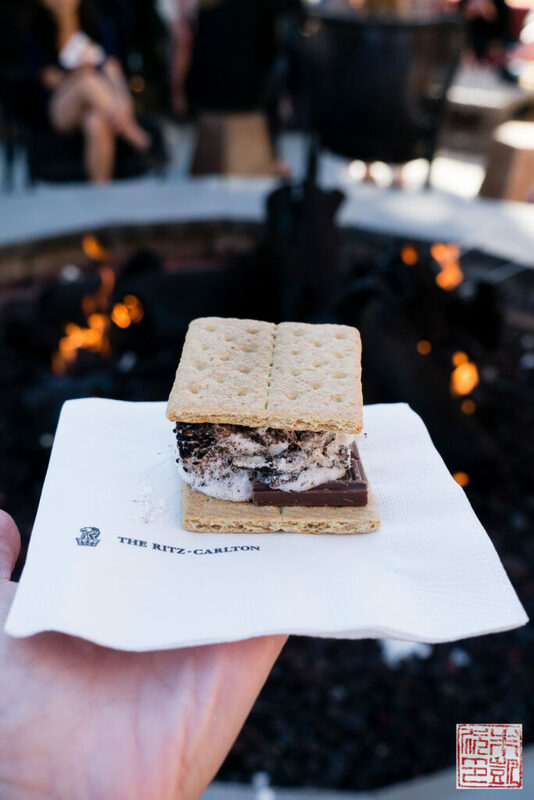 After pool time, every evening at the Ritz Carlton Lake Tahoe they have Marshmology, a s’mores-making activity by the fire pit in the back. 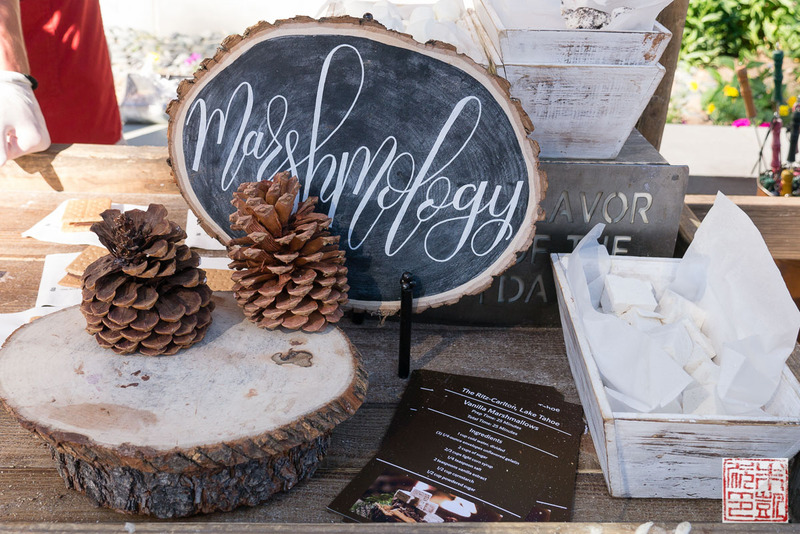 You pick your flavor of marshmallow (flavors change daily, from oreo to banana to the traditional vanilla), toast it over the fire pit, and the staff hands you graham crackers and chocolate all ready for stacking. 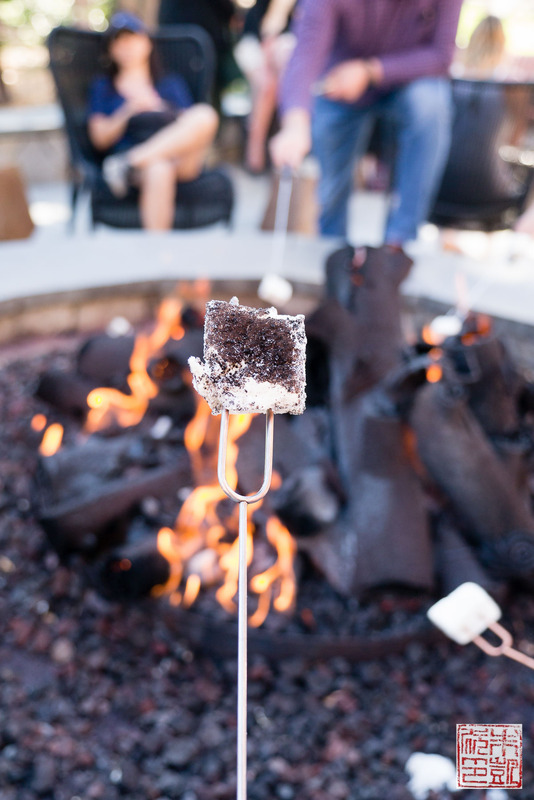 Certainly the poshest way ever to make s’mores! 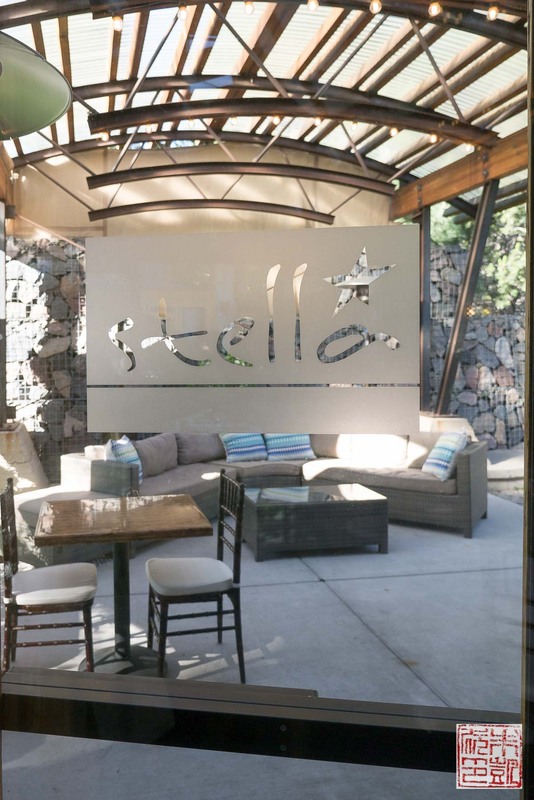 Our first night in Lake Tahoe we were treated to dinner at Stella, a unique pop up dining experience at the Cedar House Hotel. 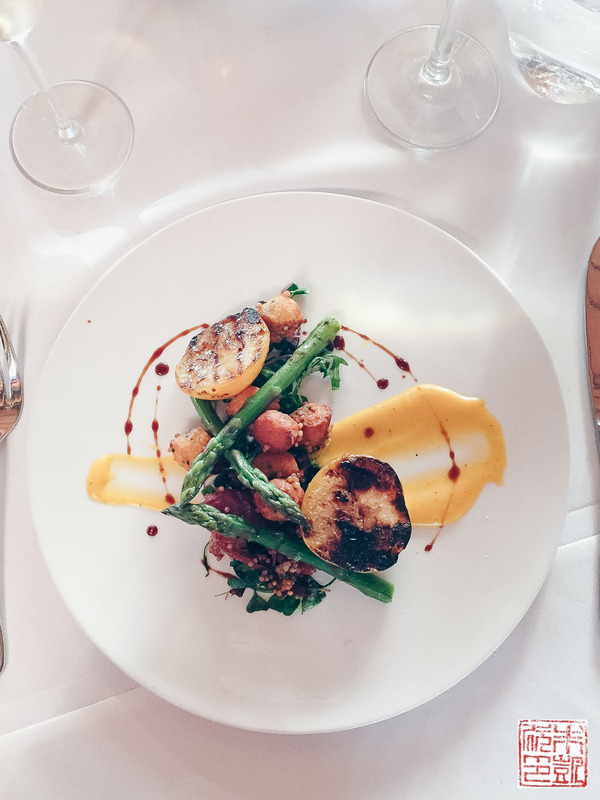 Check out their website for when their dinners occur – they usually revolve around a theme and are structured like a house dinner party where you can wander around, talk to the chef in the kitchen and fellow guests, and enjoy a one-off tasting menu. Our appetizer that evening: wild baby arugula and micro green salad with delta asparagus, grilled pluots, and truffle herb gnocchi sautéed with duck confit. 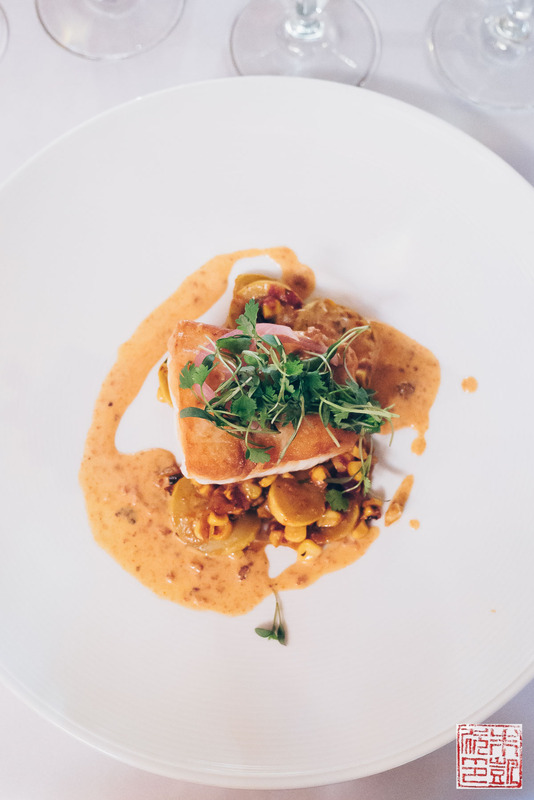 For the main course, seared halibut with summer squash succotash and chorizo corn beurre blanc and roasted red pepper. 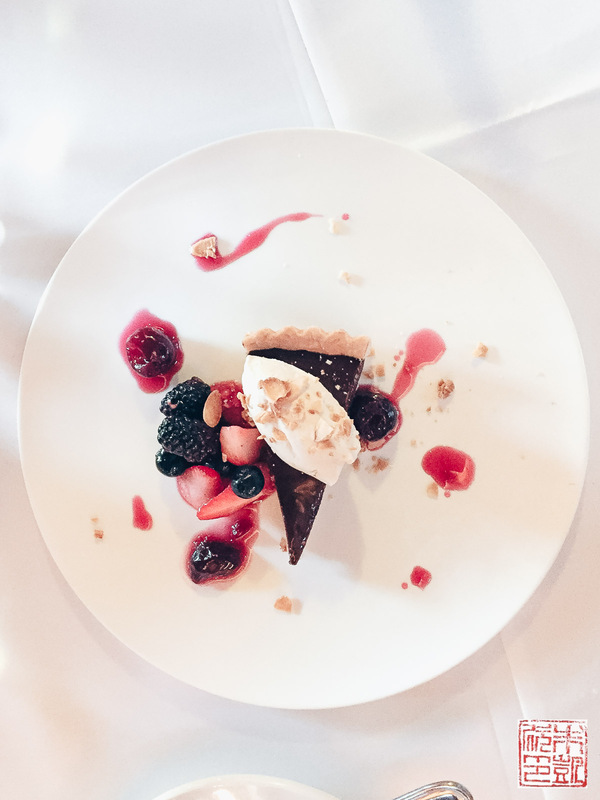 And dessert: dark chocolate ganache tart with macerated berries, toasted almonds, and kahlua cream. All the dishes came with wine pairings and the chef and sommelier came out to explain their picks to everyone. Definitely a fun and delicious evening. The next day was the main event of our press trip: the grand opening of the Lake Club, the Ritz Carlton’s newest amenity. 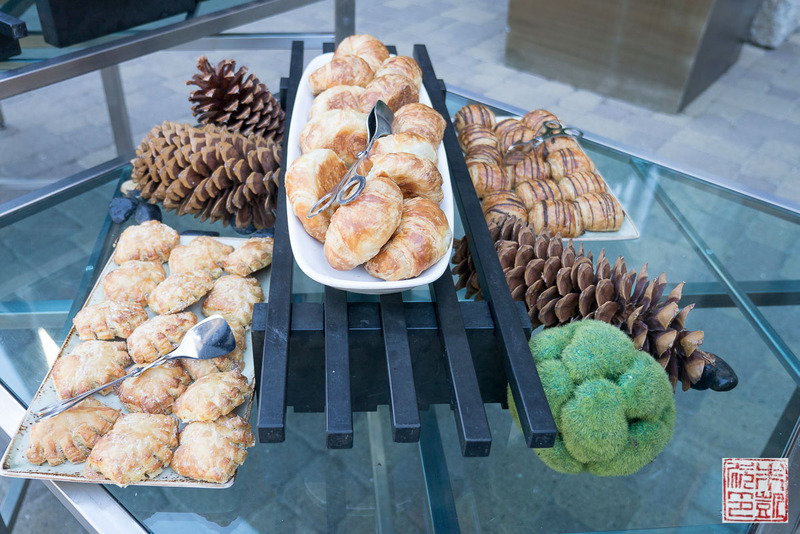 Breakfast pastries before we were shuttled down to the north shore of Lake Tahoe and our first look at the new club. The undeniably spectacular Lake Club was a response to popular requests from Ritz Carlton guests. 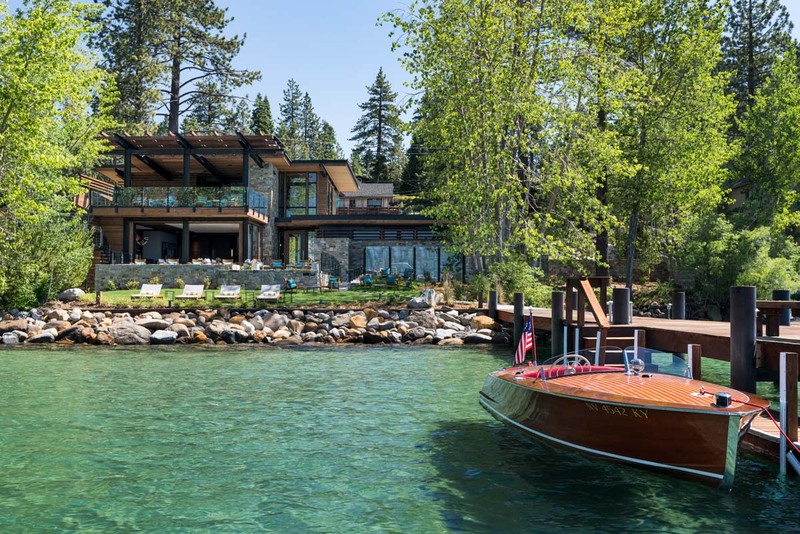 With the opening of the Club, guests now have a lakeside base from which to enjoy Lake Tahoe in Ritz Carlton style. 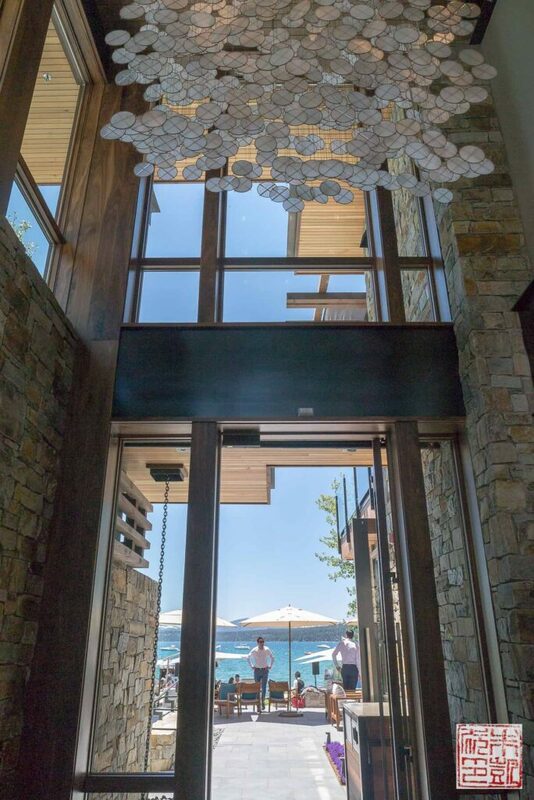 Besides simply relaxing in the beautiful clubhouse, one of the primary pleasures of the Lake Club is the ability to launch for a myriad of water sports, including kayaking, stand up paddle boarding, water skiing, wake surfing, and sailing and fishing charters, from the club’s private boat pier. You can also rent out the Club’s Wild Goose II, a gorgeous handcrafted 36-ft wooden boat. 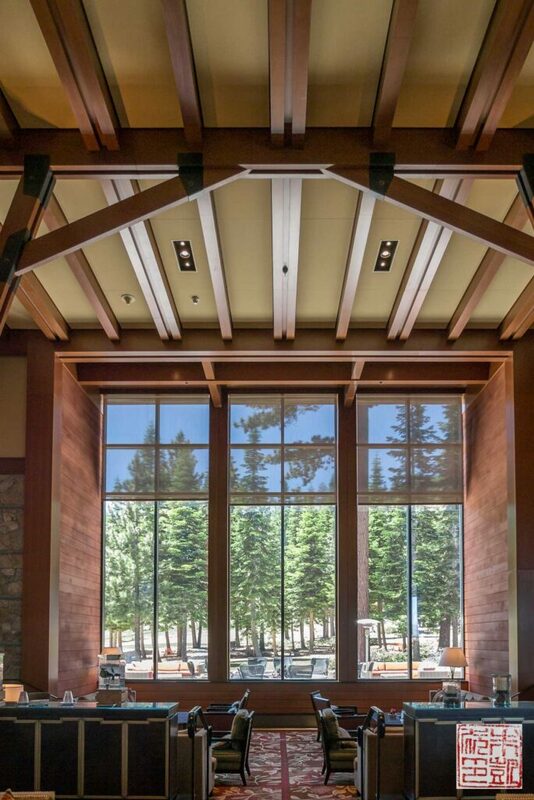 The clubhouse, designed by local architect Clare Walton, mixes modern with mountain rustic, combining steel, glass, stone, and wood throughout. Above is the two story atrium with its hanging art. The panoramic windows throughout the building give the entire space an indoor-outdoor feel. You never feel like you’re more than a step away from the lake beyond. The lower level with lounging and dining space, and a fully staffed bar to the right. 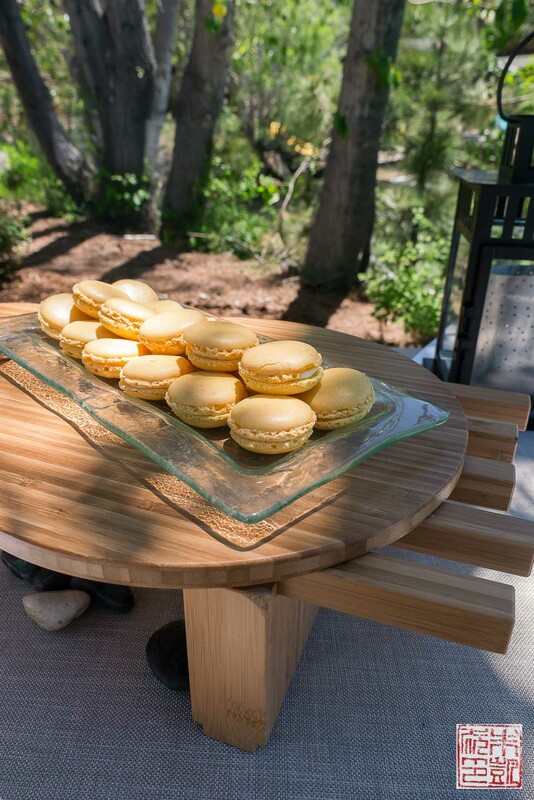 Macarons from the Ritz-Carlton kitchen for the opening event. 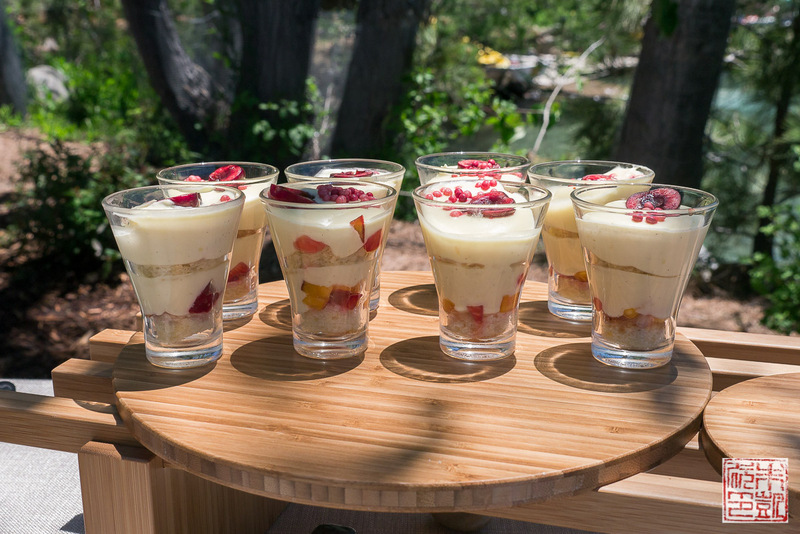 And some summer fruit trifles. Back at the hotel proper after the grand opening, the relaxation didn’t end with an afternoon in a pool cabana. The fruit bowl and chilled drinks are nice perks, and the views didn’t hurt either. 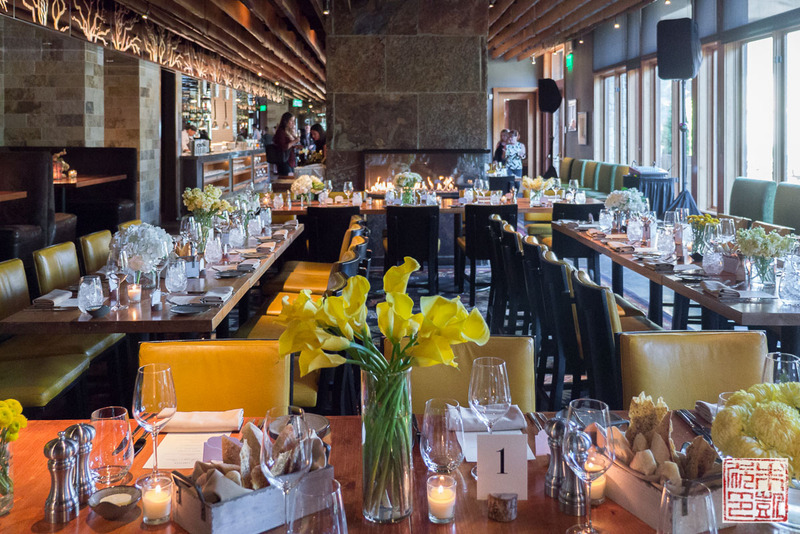 That night, the Lake Club grand opening dinner at Manzanita, the hotel’s signature restaurant. 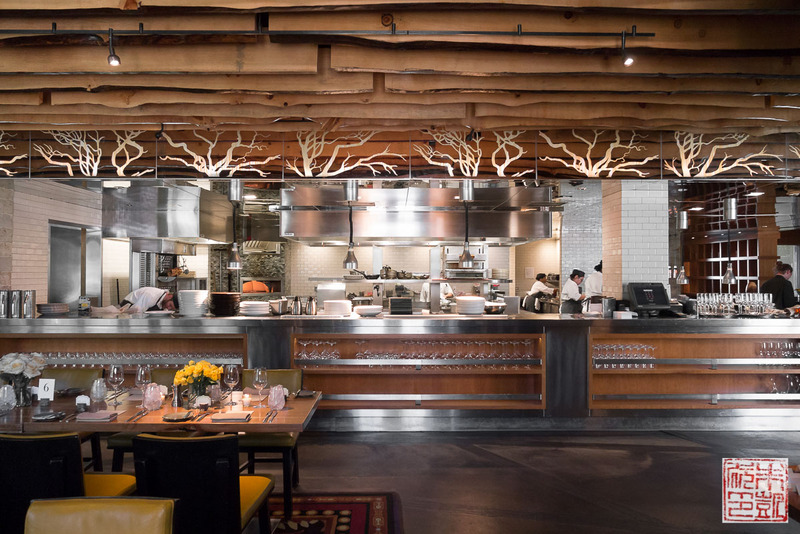 This restaurant is gorgeous in every way, from the dining room finishings to the open kitchen. Manzanita offers seasonally-inspired cuisine with a regional mountain influences, and we got to experience some of their best dishes at dinner. Check out the beautiful table settings and the central fireplace. 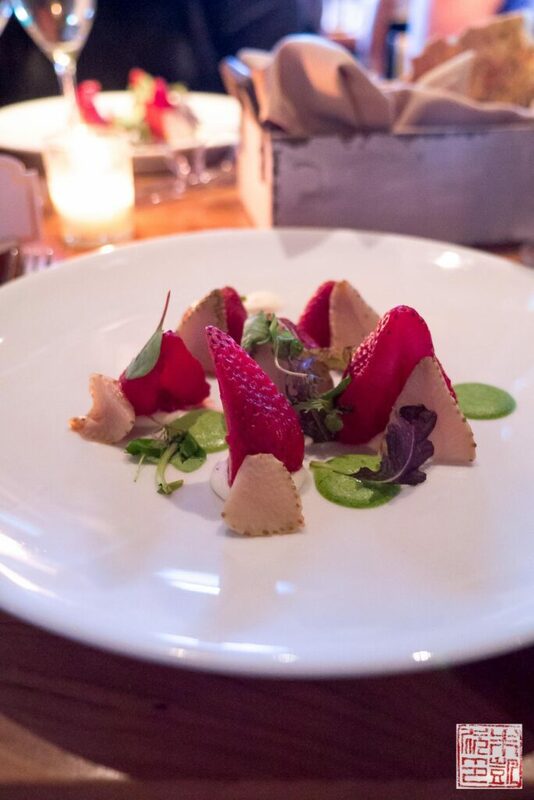 An unusual (and beautiful) starter of strawberry salad with crescenza cheese, sorrel puree, and almond vinaigrette. 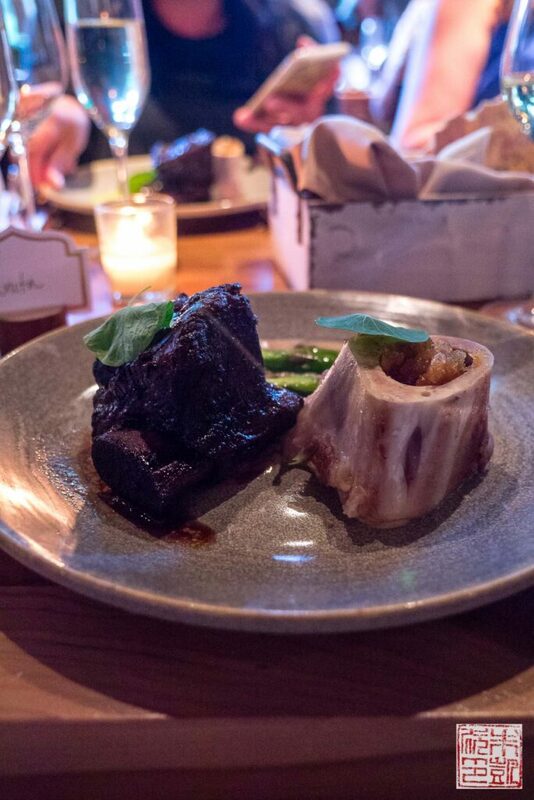 I loved this perfectly tender braised short rib with morel mushrooms, asparagus, and onion jam. 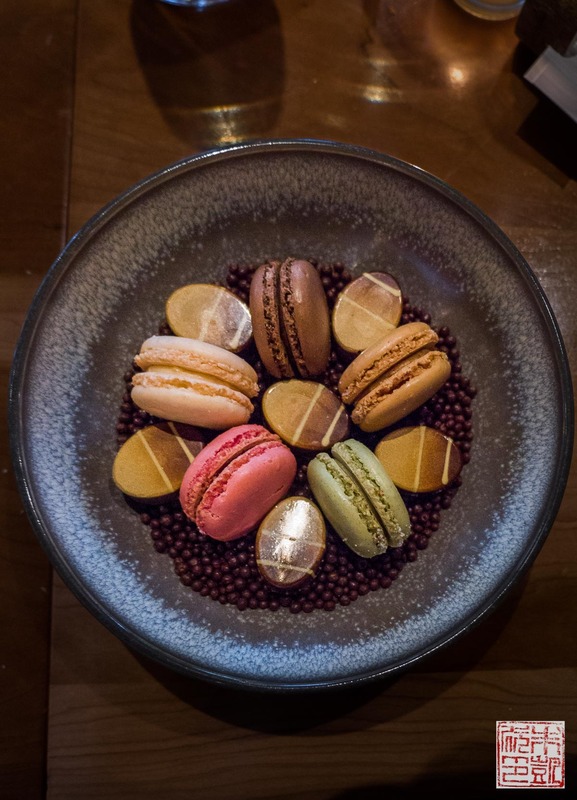 Macarons and chocolates at the end of the meal. 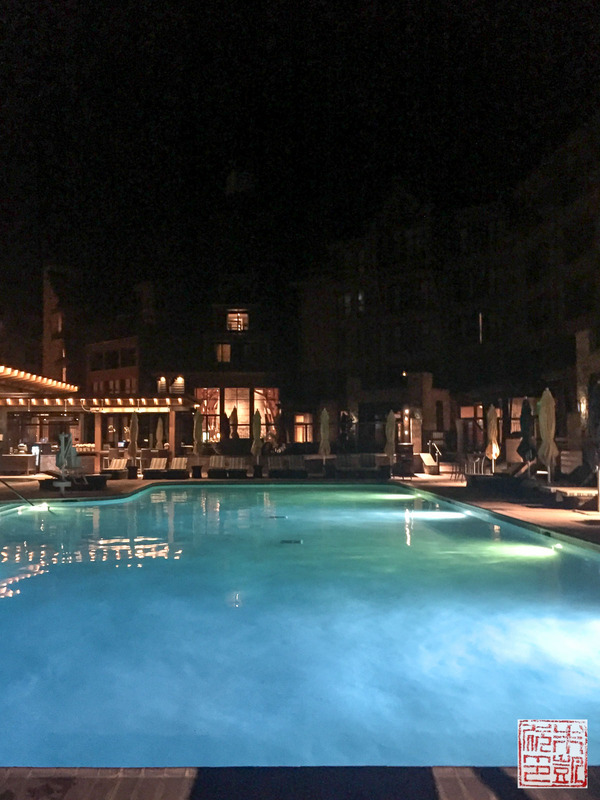 After dinner, I was prepared to head to my room and call it a night, but some others in my group suggested a nighttime dip in the pool instead. Swimming under the stars, in the cool summer night air? How could I say no? A most memorable end to the evening. 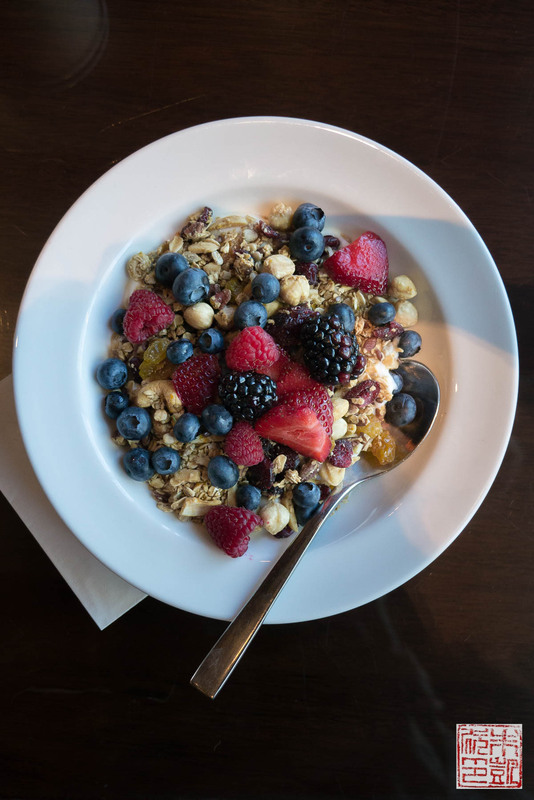 The next morning, breakfast from Cafe Blue: yogurt and local berries mixed with the housemate granola (they put hazelnuts in there!) I had breakfast in my room, enjoying the view outside my window and waiting for my spa treatment. At the Ritz-Carlton, every day sounds like the best day ever. 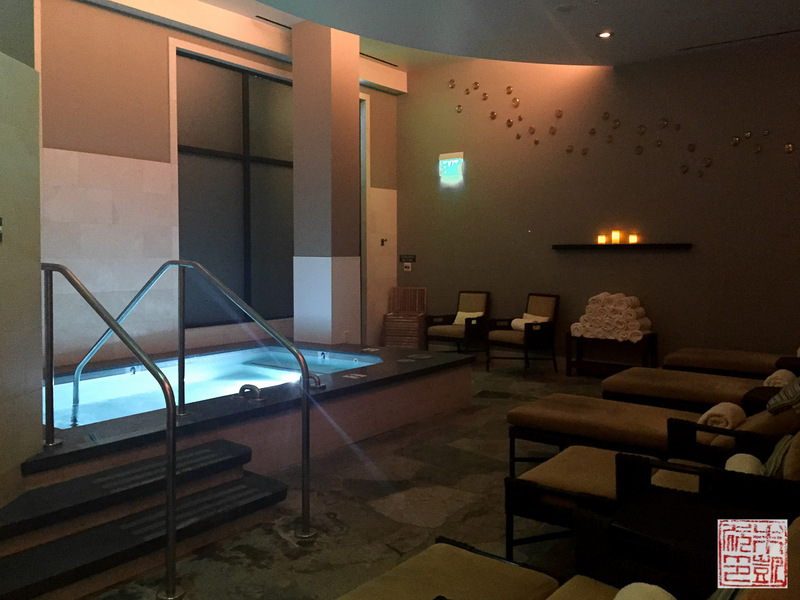 The luxurious Highlands Spa is definitely one of the centerpieces of the hotel. Even if you don’t book a treatment there, the facilities are open to all guests, to be sure to take advantage of them. The facilities include separate relaxation lounges for men and women, each with a sauna, steam room, and whirlpool Jacuzzi. The morning I was there, there was literally no one else in the women’s lounge. Having the Ritz-Carlton spa room all to myself was one of the more decadent experiences I’ve ever had. 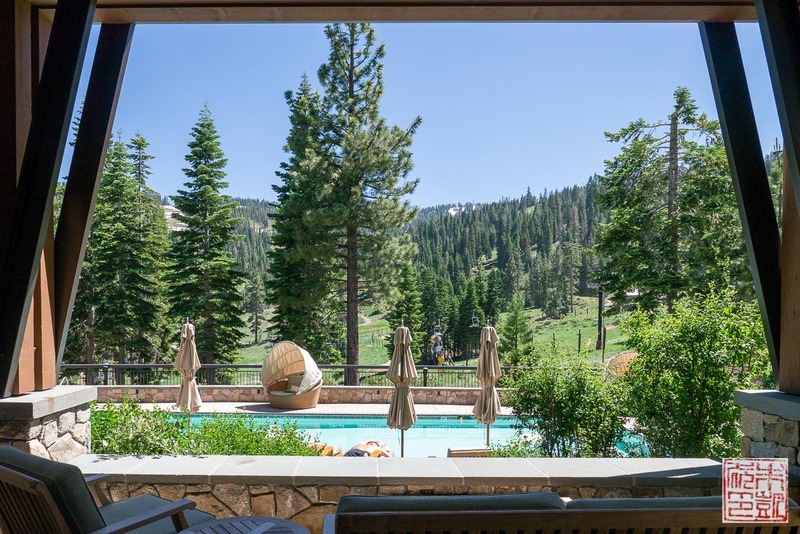 Exiting outdoors from the spa, you see the adults-only lap pool and the majestic view beyond. This probably near the top of my list of best spa locations ever. 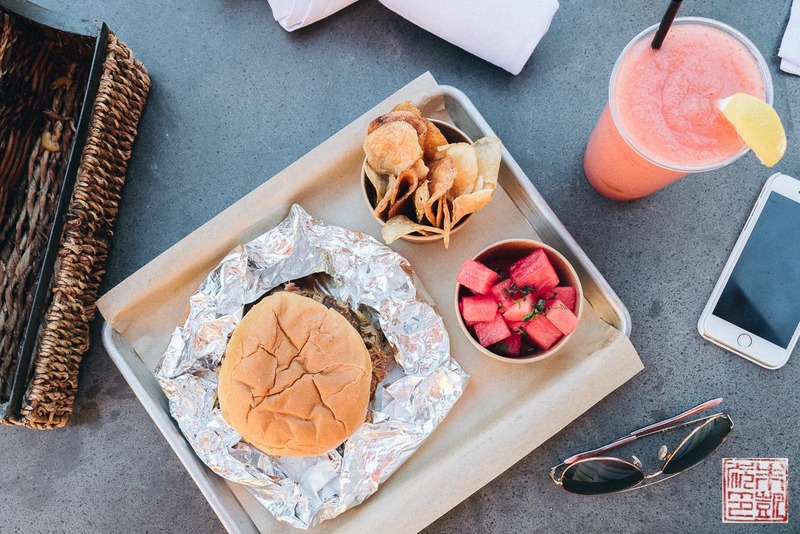 A final lunch at the Backyard BBQ, the casual poolside restaurant, of pulled pork sandwich, chips, and spicy watermelon salad, before I had to head back to San Francisco. I took the strawberry lemonade to go and sipped it slowly as I drove home to savor the last bit of my summer vacation in Tahoe. Thanks to the Ritz-Carlton Lake Tahoe for an amazing three days and for the introduction to their gorgeous new Lake Club. 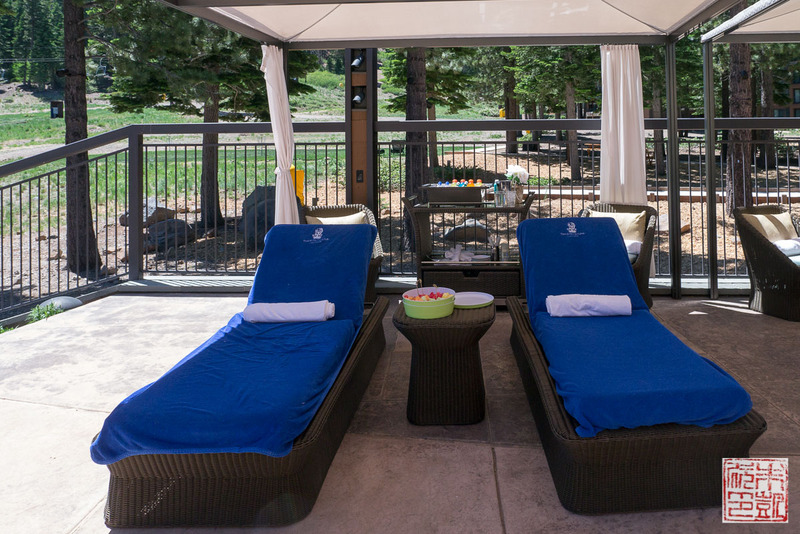 They just set a new bar for summer vacation at Lake Tahoe! Disclaimer: I attended the grand opening of the Ritz Carlton Lake Tahoe Lake Club on a press trip. I was not compensated for this review and all opinions are my own. Wow! This looks like one of the most stunning things ever! Bet it’s not cheap though. The food and venue are amazing. Needed more dessert pictures though. Thanks Sudhaker! It was indeed an amazing experience – not sure when I’ll be able to go again! Unfortunately I didn’t get to try that many desserts – I’ll try to make up for that in my next posts!